This book is concerned to analyse the production of criminological knowledge, with particular reference to one of the most important institutions in the western world involved in this -the official inquiry. 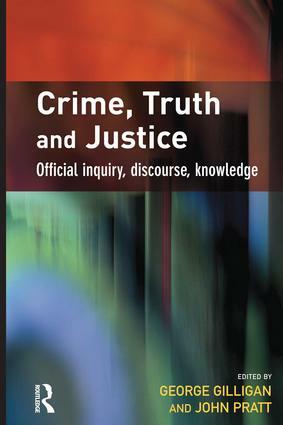 The core focus of this book is thus to investigate the structures and processes of official discourse, and the ways in which this produces knowledge on crime and justice - a much neglected topic in comparison to the attention that has been played to the role of the media in this process. The mechanisms that produce official discourse vary according to different jurisdiction, but some clear themes nevertheless emerge.